The Blue Effect. 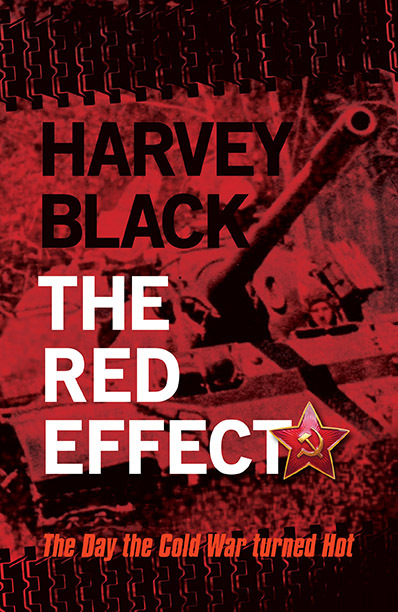 The day the Cold War turned Hot. Part 1. 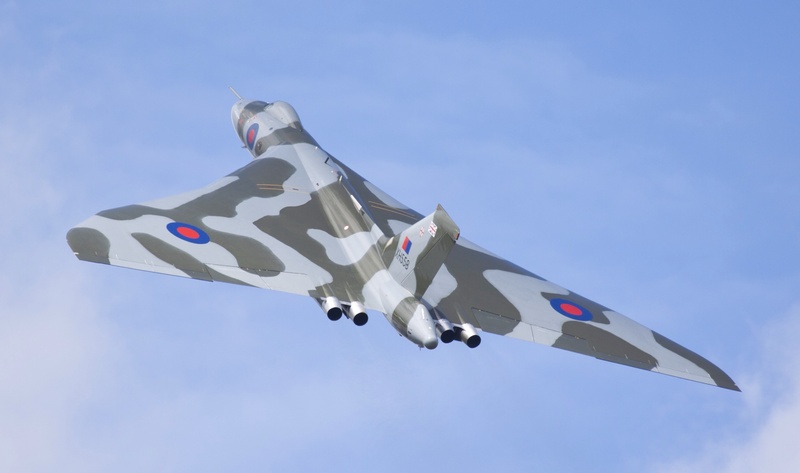 The Avro Vulcan Bomber is an Iconic jet-propelled delta wing strategic bomber. It was operated by the Royal Air Force (RAF) from 1956 until 1984. 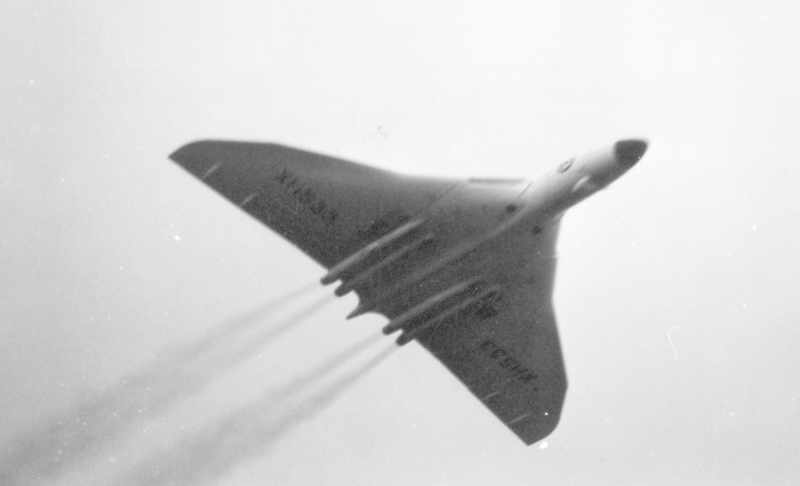 The first Avro Vulcan B.2, XH533, flying at Farnborough, 1958. The Vulcan B.1, was first delivered to the RAF in 1956. 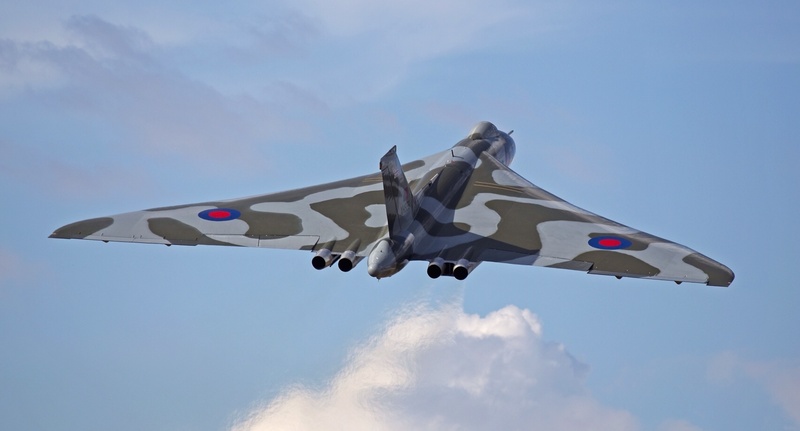 The XH558, shown above, was the first Vulcan B.Mk2 to be delivered to the RAF in 1960. Its original colour on delivery was ‘anti-flash’ white. Powered by 4 x Bristol-Siddeley Olympus engines. It had a cruising speed of Mach .86 and a top speed of Mach .92/3. It could fly to a height of between 45,000 feet/56,000 feet (14,000/17000 metres). 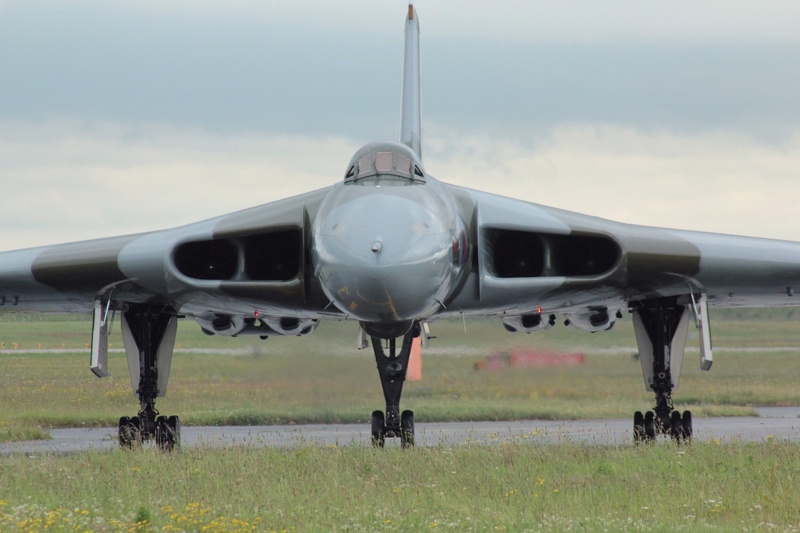 The Vulcan, as part of the V-Force, was the backbone of the United Kingdom’s airborne nuclear deterrent during much of the Cold War. Originally designed to carry either a single ‘Blue Steel’ nuclear missile or a single free-fall nuclear bomb, its role as a strategic nuclear asset changed in 1970. British Polaris Submarines assumed that role. 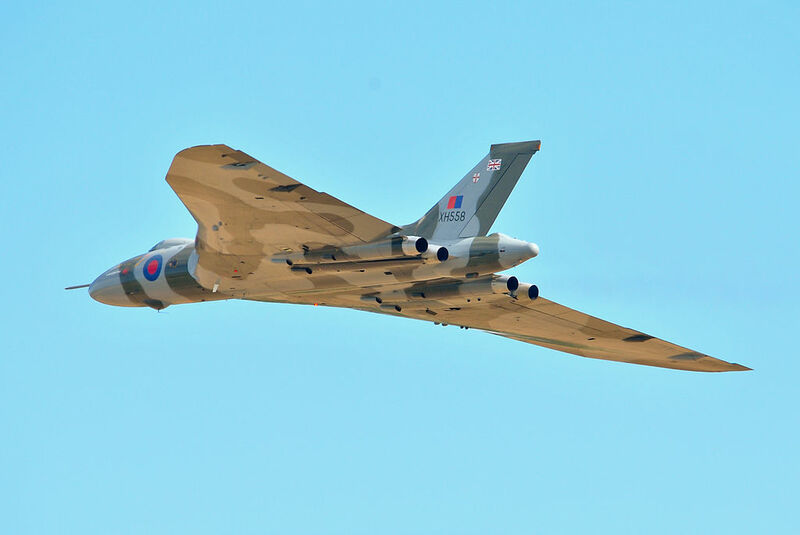 The Vulcan continued to carry the WE.177B in a tactical nuclear strike role as part of the country’s contribution to NATO. It could also carry a standard bomb load of 21 x 1,000 lb (450kg) iron bombs. 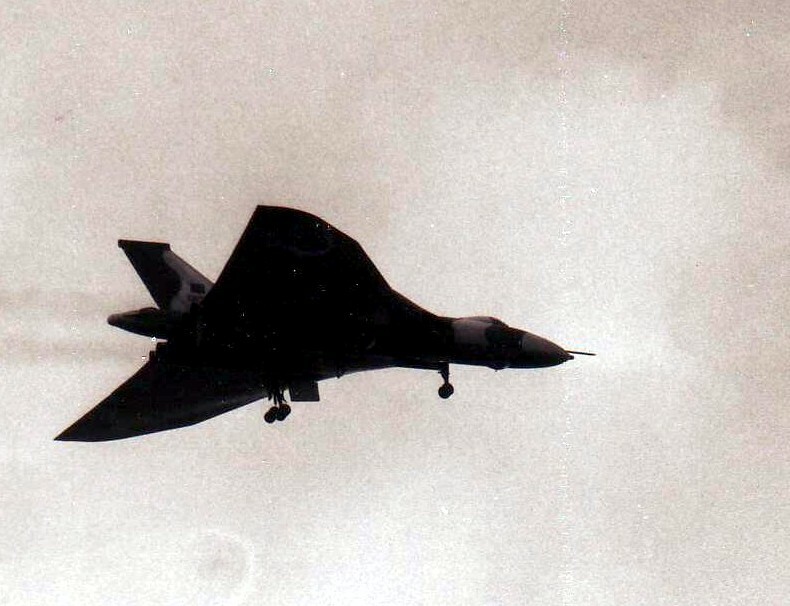 A Vulcan flying over Ascension Island in May 1982. 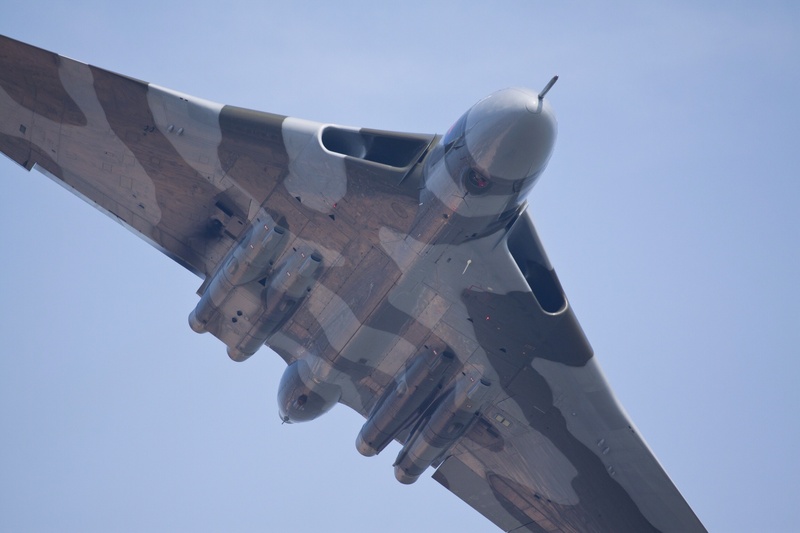 The only combat missions involving the Vulcan bomber took place in 1982, during the Falklands War. The missions, known as the Black Buck raids, involved a flight of 3,889 miles from Ascension Island to Stanley in the Falklands. 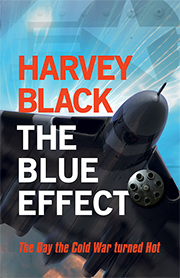 You might recognise this picture from the front cover of my novel, The Blue Effect. 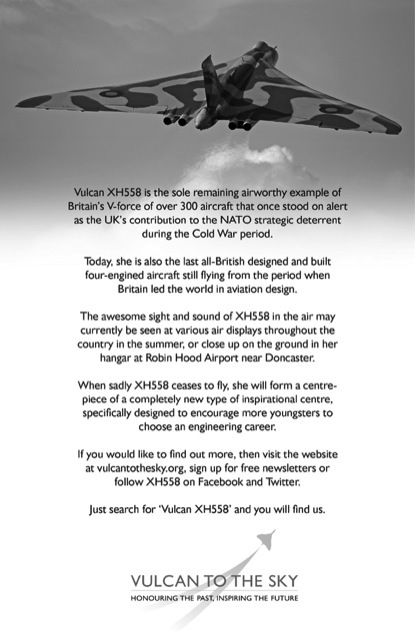 A big thank you to XH558 team for allowing me to use the above photograph. ← The Blue Effect. 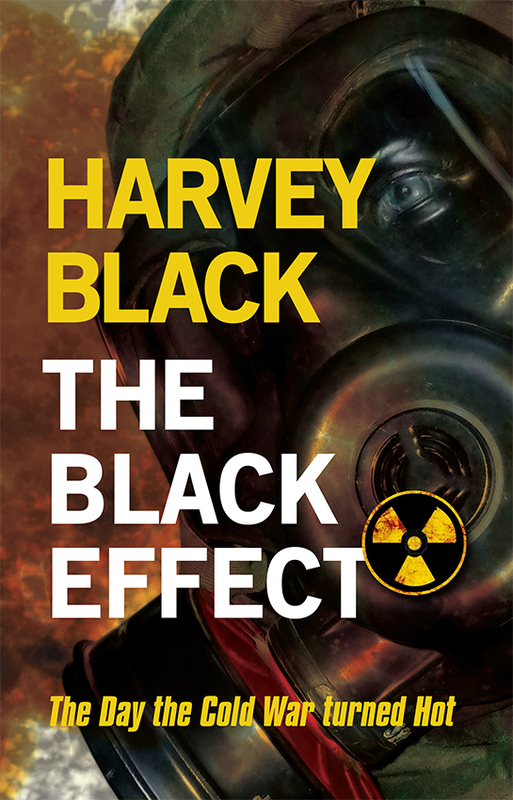 Now Available on Kindle. Good to see all your hard work paying off for you, Harvey. Thank you Anneli. All three are in the UK top 10. The Blue Effect is number #2 in Amazon UK War Fiction and number #40 in Historical Fiction! Excellent. Thanks for this Rainer. Glad you’ve enjoyed the trilogy so far. Nearly finished “The Blue Effect”. Are you gonna be at the “War and Peace Show”? I will, already looking forward to..